our team is implementing a new scientific journal. We please need a logo designed. 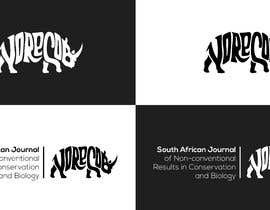 The journal name will be: Non-conventional Results in Conservation and Biology. 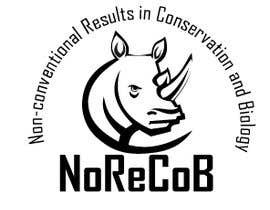 So we would like to get a logo which represents the short version "NoReCoB". It should be in the form of a rhino icon. Use the letters of NoReCoB to build the body of a rhino. Please see attached file for an example and design our logo in a similar style. We would like to use some colour, preferably blue. Feel free to make suggestions of how to use colour in the icon. 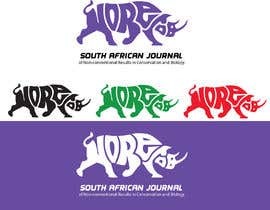 1) only the body icon of the rhino, representing "NoReCoB"
2) the body icon together with the full name (on the side, or below): South African Journal of Non-conventional Results in Conservation and Biology. Thank you and we are looking forward to your submissions! thank you for top 7 stay my 2 entry. i am happy. thanks sir. If you win me I am ready to cooperate appropriately. best of luck.